Vacation rental townhouse. Sleeps 9, 4 bedrooms, 3.5 bathrooms. No pets allowed. 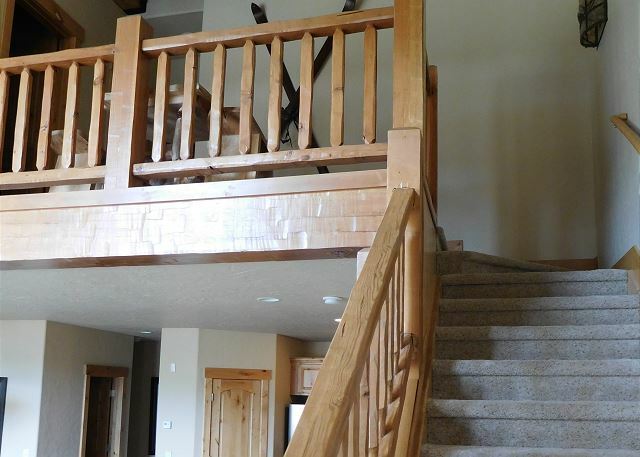 This 3-story townhome, located in Lakota, sits at the end of a quiet cul-de-sac and is the very last end unit on the street. With a private garage and room for parking in the driveway, the access to the home could not be easier. 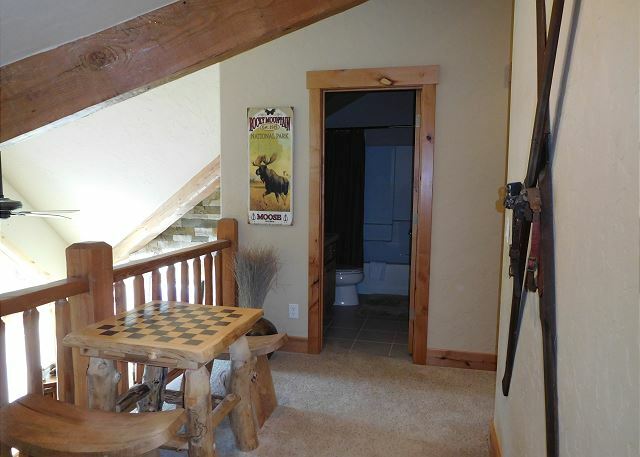 The 1st floor of the home is the perfect ski entrance with benches, hooks and storage for all your gear, and at the end of the hall sits a full sized washer and dryer. As you head up to the 2nd and main floor, you will enter into an impressive great room with an open floor plan that houses the living room, kitchen, and dining room. 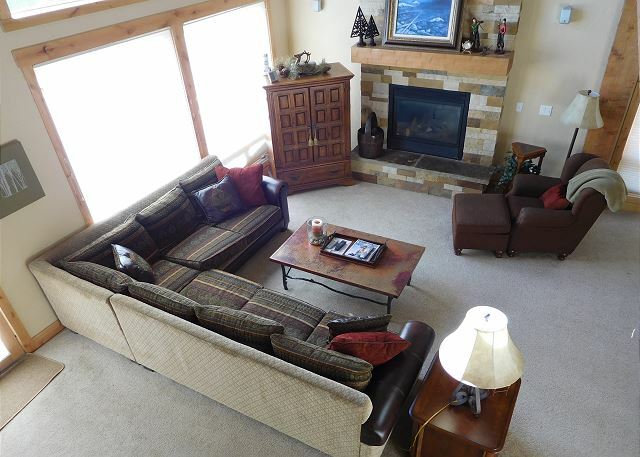 The living room with a massive sectional sofa is accented with high end finishing’s and a large gas fireplace. The living area is surrounded by exposed beam vaulted ceilings and floor to ceiling windows with expansive views. 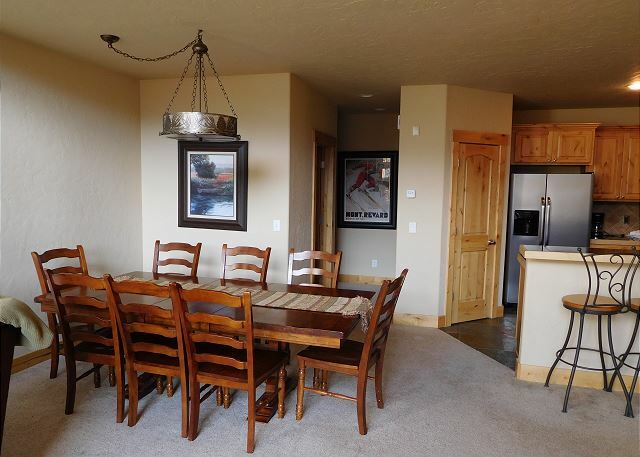 Just beyond the living room is the perfect dining room table for large family dinners with seating for 8, and breakfast bar for the perfect Apres hangout. 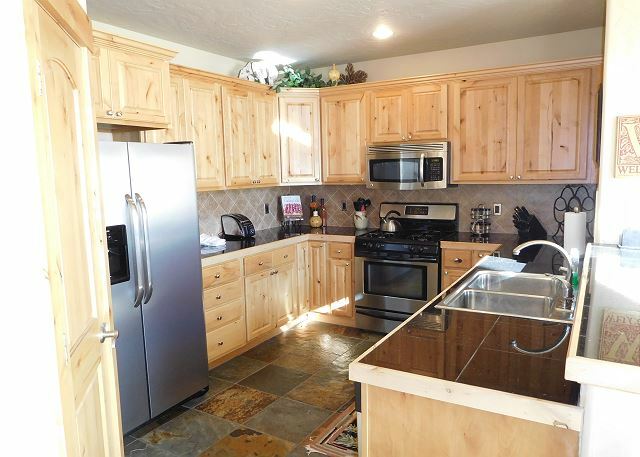 The gourmet kitchen is housed with stainless steel appliances and fully equipped with everything you need to make your favorite meal! Beyond the kitchen is a large storage pantry area and a powder room. 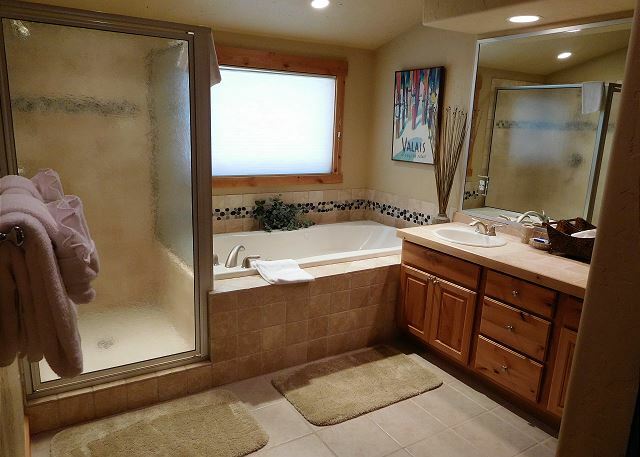 The real appeal of the main floor is the 2 luxury Master Suites. 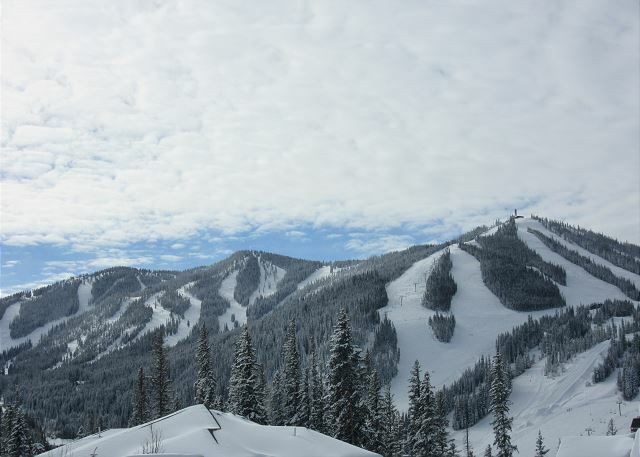 Both rooms boast oversized king beds, with high-end bedding and views of the Rocky Mountains. 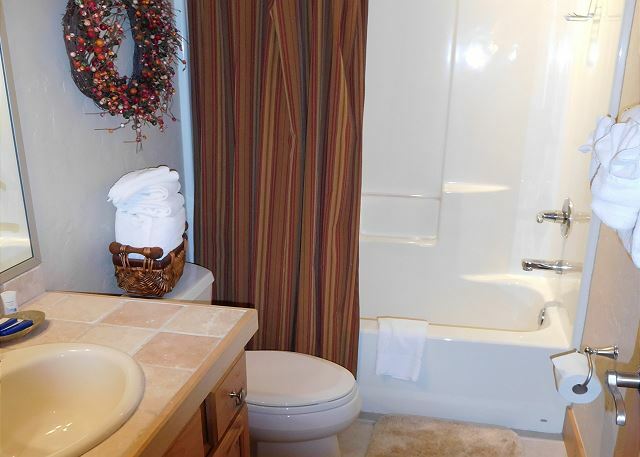 Both rooms have walk-in closets and spa like on-suite bathrooms, complete with a jetted soaking bathtub. As you head upstairs, you're greeted by a small open lofted area with a seating area and a game table, the perfect kid hang-out. 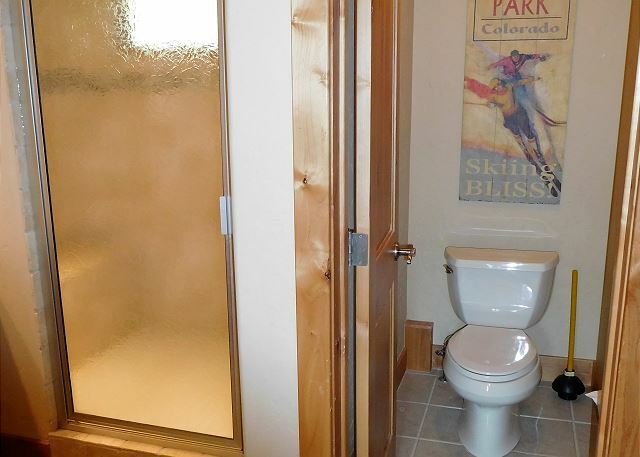 The 3rd floor has 2 rooms that share a full sized bathroom. 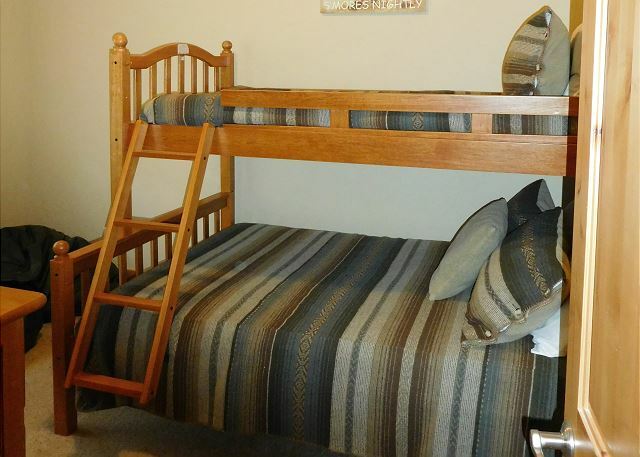 The 3rd bedroom functions also as a den area with a recliner chair and large sofa that folds out into a queen sleeper. 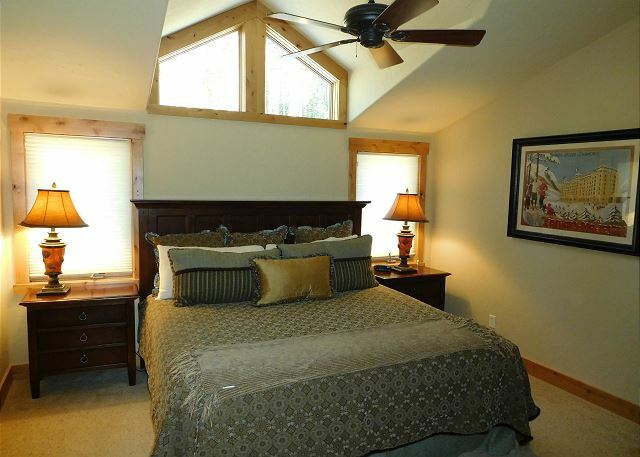 The final bedroom has a custom twin over double bunk set and amazing views of the undeveloped forest area behind the home. 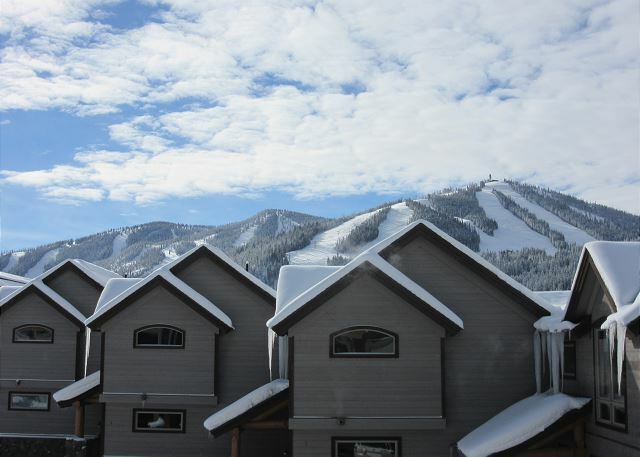 This home is moments from Winter Park Resort Ski Area, and with the new addition of the shuttle service, getting on the slopes has never been easier or more convenient. 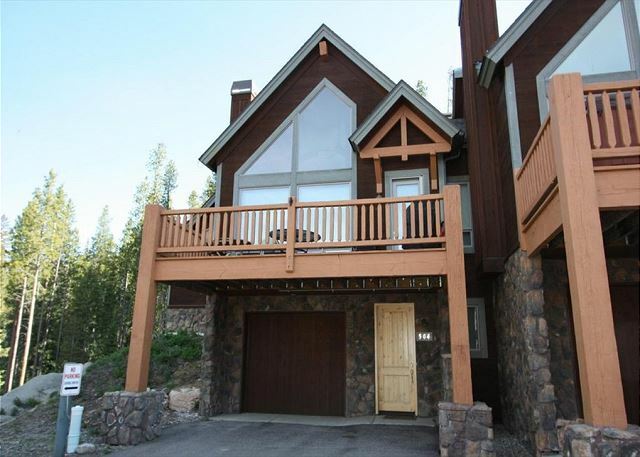 This is the perfect property for 2 families with kids travelling together, and is the ideal cozy mountain retreat. 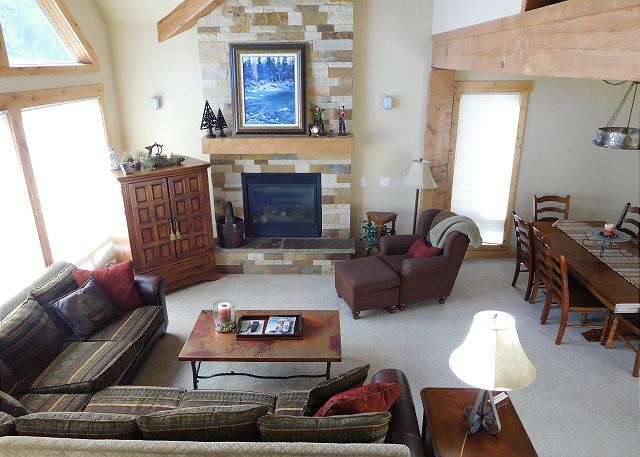 The home offers all the amenities of home plus added luxury and gigantic views of the Continental Divide. 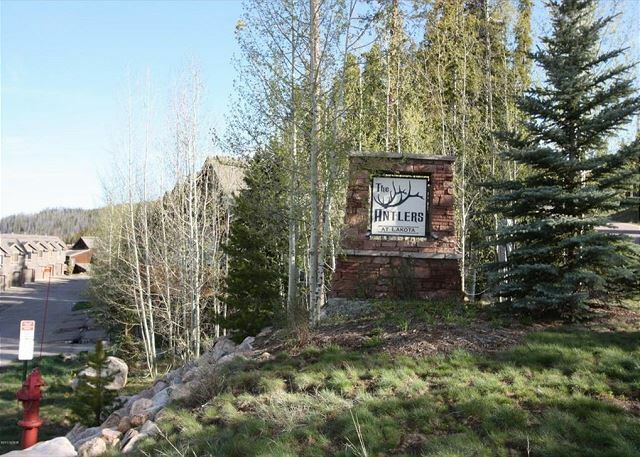 The Lakota subdivision is the one of the most exclusive in Winter Park and is unrivaled in its convenience to the resort, newly built homes and never ending views! 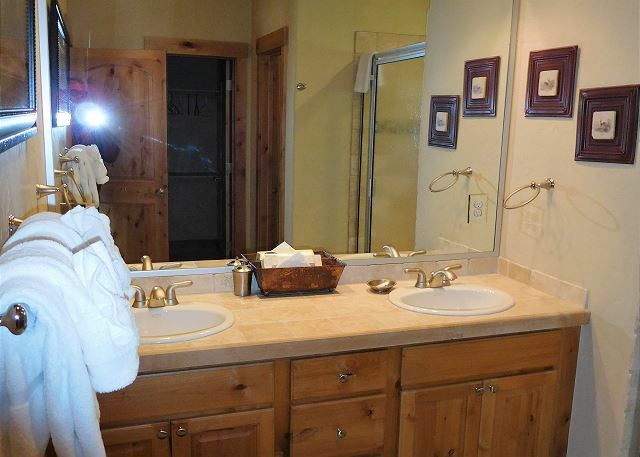 Unfortunately this property does not have internet access. Wonderful stay close to the mountain! We were so excited when we arrived at the condo. 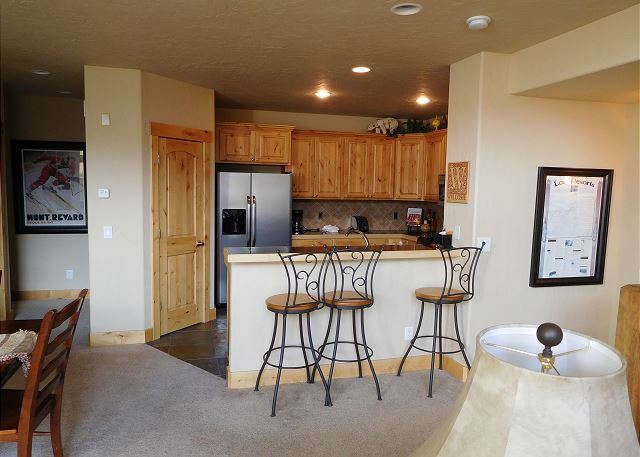 It's a beautifully furnished/decorated end unit where we felt like we had lots of privacy. 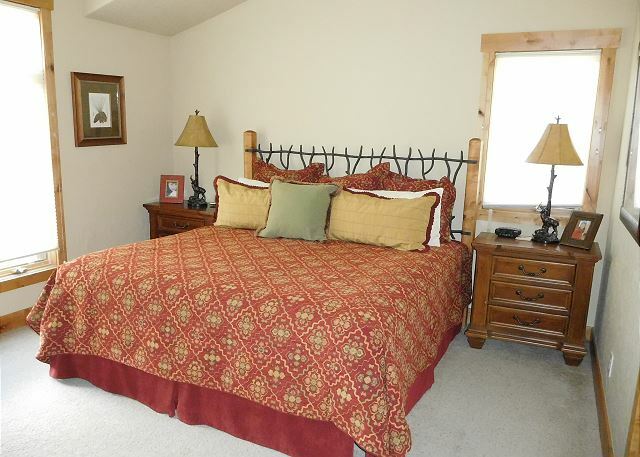 With 2 master suites on the first floor, the parents from both families had similarly spacious rooms. There was so much space available in this well-designed layout that the 5 kids, ranging from 8-15, and 4 adults all had plenty of room to do their thing. The unit was well-equipped with games, kitchen items, etc. and we were even greeted with a bag of cookies and a box of hot chocolate on the counter when we arrived. 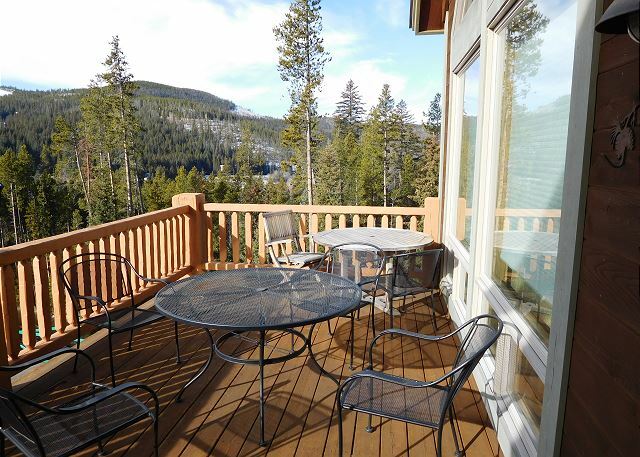 We hope this condo is available the next time we return to Winter Park!